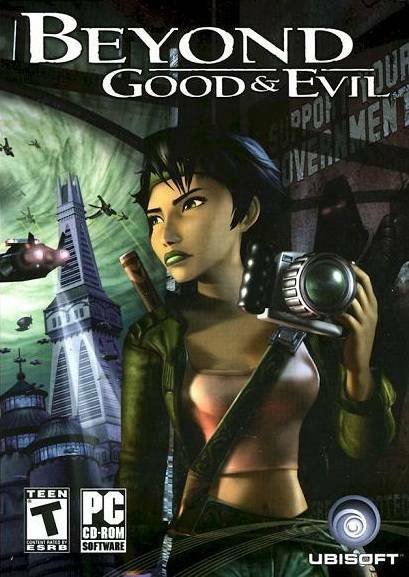 Beyond Good & Evil sits on a great many gaming lists. It's considered one of the best games nobody played. 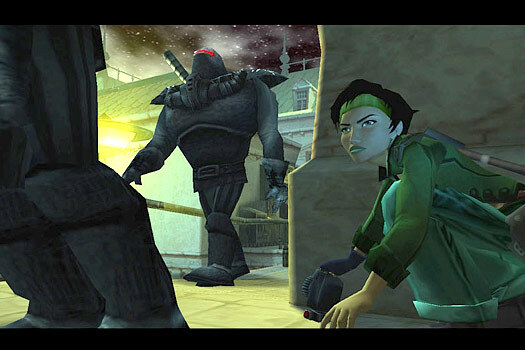 Its among the top classic Ubisoft games fans want sequels for. 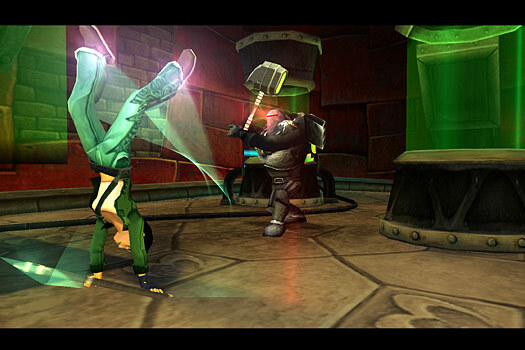 It even broke new ground in offering non-combat gameplay options. 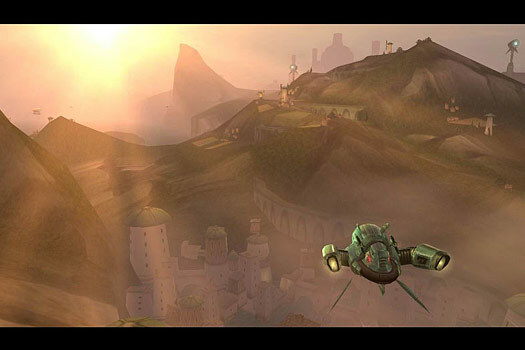 And in many ways, I have to agree that Beyond Good & Evil is a wonderful, charming game that highlights many amazing things we can do with the medium. That 's not to say however, that it doesn't have flaws. 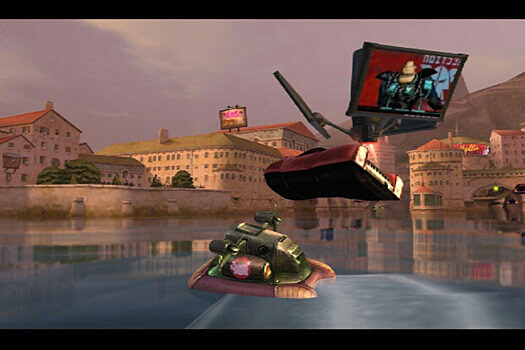 Nostalgia-tinted glasses can help cover up a lot of problems, but if you're a first-time PC player you may have a hard time dealing with its fussy camera, compatibility and occasionally lackluster mechanics. 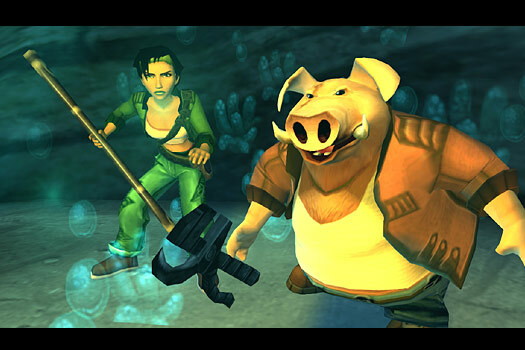 Even knowing that, Beyond Good & Evil is still well worth playing, and it's a supreme shame that, warts and all, we never got the full trilogy Ubisoft originally planned. The game is set on the world of Hillys; a small, fairly peaceful planet that's the latest to be attack by the alien invaders known as the DomZ. In response, a military force called the Alpha Section has stepped forward to defend the population, but their intentions may be less noble than most citizens suspect. 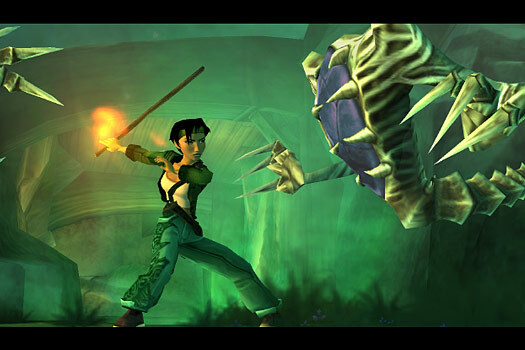 The player takes on the role of a young photojournalist named Jade. When the war begins, she and her mentor are helping shelter children whose parents have disappeared in recent weeks. 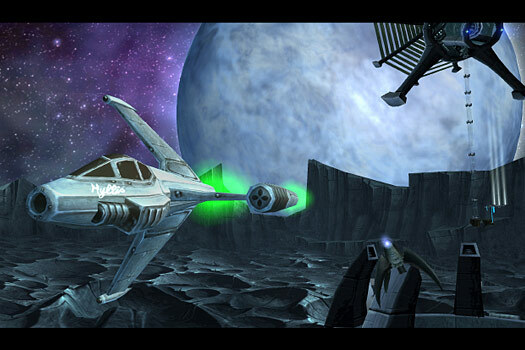 But when the invasion begins, Jade's suddenly offered a surprising new job: Investigate the Alpha Section. Armed with her camera and her wits, Jade has to infiltrate Alpha Section and expose its conspiracies to an unaware public. 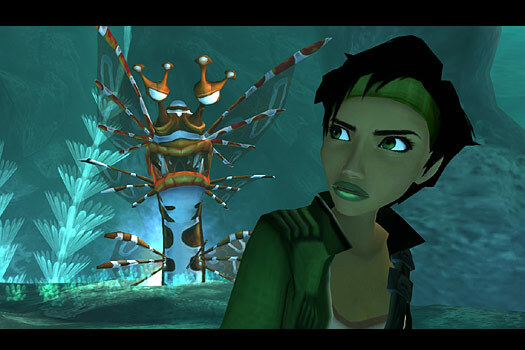 If nothing else, Beyond Good & Evil is an incredibly unique game. Despite being set on the edge of a massive interstellar war, the player isn't some macho action hero or space marine, but rather a humble photographer determined to report the truth. 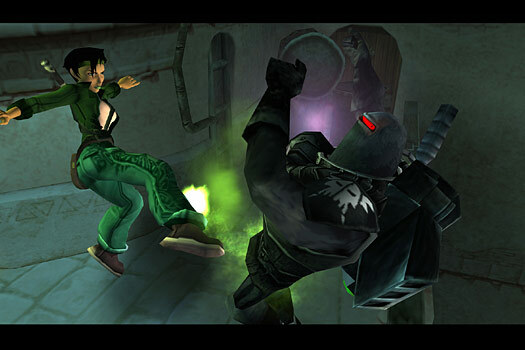 Even when Jade gets in the thick of the action, you're free to use stealth and non-combat options. 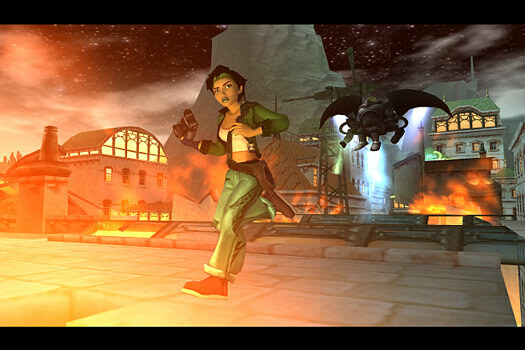 And when combat does occur, Jade has to be smart about it, targeting weak points before her enemies can attack. The world itself is also varied and interesting. Levels combine everything from platforming in natural environments to crawling through dystopian sci-fi structures. Model designs are just as individual; enemy units alone range from wildlife and most charming robots to the practically Lovecraftian DomZ. 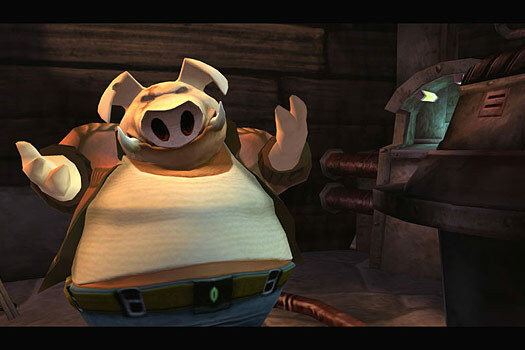 Even ordinary Hillyian civilian NPCs are a diverse mix of humans and intelligent anthropomorphic animals, such as the bull who keeps bar or the walrus who runs the market. And that doesn't even scratch the surface of wild animals that you can photograph and catalog for extra cash. It all adds up to make Hillys feel like a massively complex world, despite the setting being limited compared to open games like Skyrim.